Dubl Duck TITANIUM 7.75" PROFESSIONAL SHEERING SCISSORS - 110_GROOMING PRODUCTS, Scissors, Cutting - Product Detail - Prestige Pet Products Pty. Ltd. 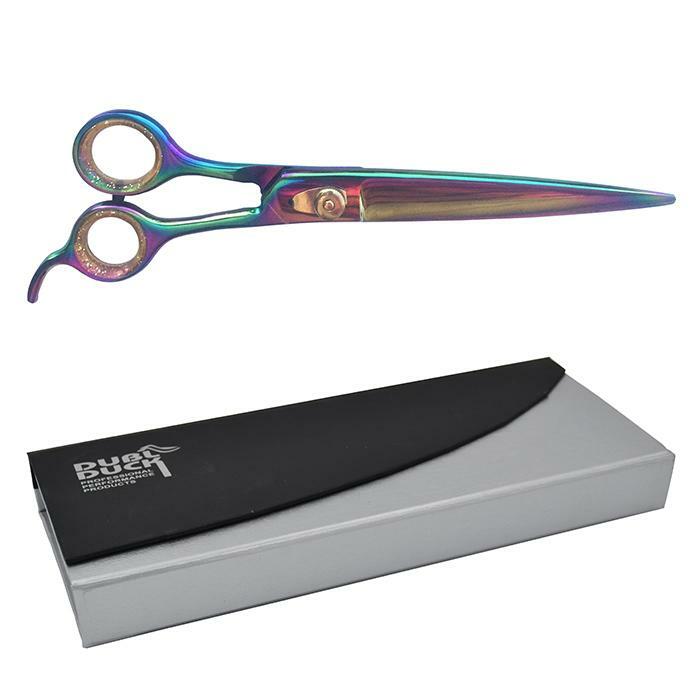 The Dubl Duck Razor Edge 7.75 Professional Sheering Scissors are great for all-purpose grooming and finishing work. Featuring finely ground blades. Ice tempered, rust resistant stainless steel with a rainbow mirror finish. The Titanium Range come packaged in a box with a tube of oil.